A couple of weeks ago I heard Jeremy Paxman speak at the Appledore Literary Festival. He was interviewed by Jeremy Vine. Two very successful and highly-paid journalists. Paxman is obviously a very clever and witty man but, like many posh media folk these days, none of whom suffer fools - or anyone else for that matter - gladly, he does have the knack of getting right up people's noses. His obvious languid disdain for us down here in our remote rural corner of England certainly got up mine. One comment in particular had the audience laughing in approval, but it infuriated me. Speaking of democracy, he noted that this system is fatally flawed because, as he put it: "The vote of the village idiot counts the same as everyone else's." The village idiot was long considered an acceptable social role, a unique individual who was dependent yet contributed to the social fabric of his community. As early as Byzantine times, the "village idiot" was treated as an acceptable form of disabled individual compatible with then-prevailing normative conceptions of social order. The concept of a "village savant" or "village genius" is closely related, often tied to the concept of pre-industrial anti-intellectualism, as both figures are subjects of both pity and derision. The social roles of the two are combined and applied, especially in the sociopolitical context, in the European medieval/Renaissance court jester. Rather an interesting description. Any comments - about village idiots, or about Jeremy Paxman, or about his comments about democracy, or about idiotic democracy? To be honest, I feel a bit of an idiot myself for forking out sixteen quid to gawp at him. And I do live in a village which makes it worse. 1) A thumb and five fingers on each hand? Normal for Norfolk. 2) He's on the ward to remove the coke can from his finger - He wanted to try and scrape out the last few drops so just stuck it straight in. Normal for Norfolk. 3) He tried warming up his bath by pouring a little petrol in and lighting it... Incident was noted to be Normal for Norfolk. "I feel very keenly that the idiot is a part of the old village system and as such has a vital role to play in the modern rural society, because you see .... there is this very real need, in society, for someone who almost anyone can look down on and ridicule." But with that out of the way, now for something completely different. "Father was Home Secretary and Mother won the Derby"
Oh well, don't say I don't try. Going back under my stone now because I feel silly. You're not being silly, Temp. With muted, mesmerizing illustrations and heavy accordion-based music, the film follows Shmendrick as he sets out on a journey away from home for the first time. 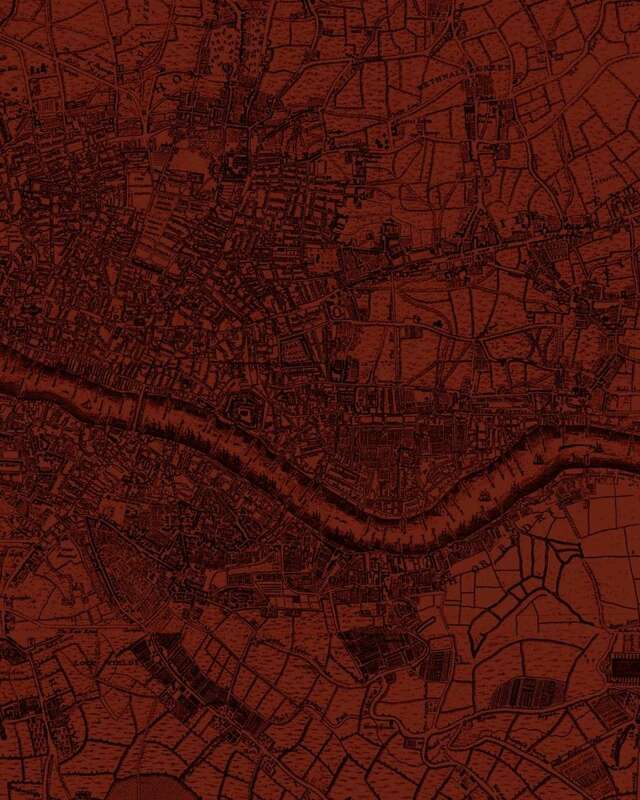 But along his journey from Chełm to Warsaw, he comes upon a city that is eerily similar to the one he left behind. The rest of us might think Shmendrik just took a wrong turn and ended up back home, but for Shmendrik, this discovery sheds light on holy teachings: “The Talmud tells us that the world everywhere is the same," he recalls. "so I shall shut up (how many times have I promised that?). I shall have my bowl of porridge and then go to Exeter for a look around the shops." 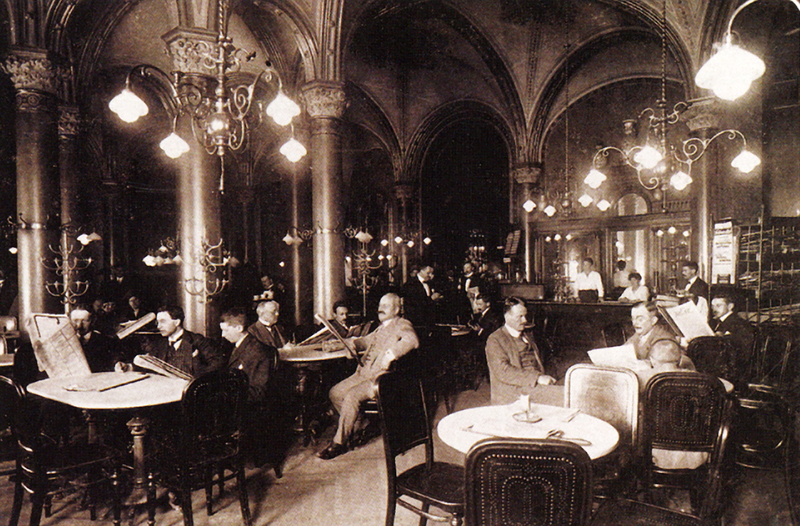 And I wanted yesterday to add on the Tumbleweed suite, as you: too serious talks for this café, but I wanted to add: Why can't one discuss serious matter in a café? Or in a French woman directed French 18th century "salon"
"Any comments - about village idiots, or about Jeremy Paxman, or about his comments about democracy, or about idiotic democracy"
True. Trouble is when it's 52% of the electorate who are being looked down on and ridiculed by the rich and the successful and the "educated". Doesn't make for a happy society. "We must educate our masters" - as someone said of some Reform Bill or other. So what went wrong? We do need to educate our masters indeed. But it seems to me it's not just the village idiots who need to do some serious learning. So what are the likes of Jeremy Paxman - clever, cruel, smug and cynical - teaching the idiots to be? We’re living with exactly the kinds of injustices that lead to carnival culture, and we’ve crowned a fool king. Donald Trump exists on two levels: the presidential level and the fool level. PPS Thanks for kind words, Paul. Have a good break. I'm off myself next week, but I always come back. 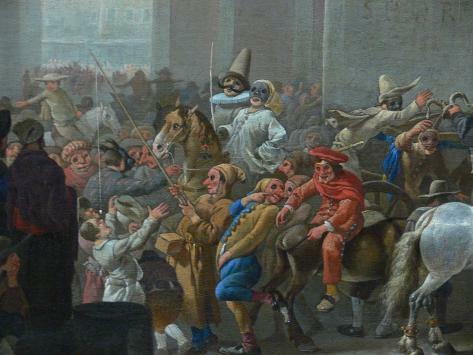 Might not the role of village idiot – and in pre-industrial times it certainly seems to have often been an accepted role that was deemed to contribute to society - have sometimes been somewhat like that of the court jester or rich man's fool? As such were they perhaps not so much simply a figure of fun to be ridiculed and laughed at, but a witty, in both senses of the word, character that could act as a mirror or foil against some of the more ignorant, narrow-minded or blinkered views of their fellow villagers? As such was the role perhaps related to the village savant: the wise person to whom people turned for explanations or knowledge of matters outside local exprerience, and for advice or arbitration in village disputes? I wonder also whether many village idiots were actually disabled, whether physically or mentally, or had what we might now recognise as, say, autism or Tourette’s syndrome, and so having the accepted role of village idiot was a way of accommodating, or even caring for them, within village society? Shouldn’t we take Paxman’s comments at face value: that everyone, regardless of intellect or logical thought, has a vote? And this is something we must ponder and maybe cause us to worry? Everyone should have a vote - universal suffrage must not be so lightly discarded as a concept. It is essential in the maintenance of democratic representation and in choosing the representatives who fulfil that role. The real question is how a country without a constitution ever hoped to achieve anything constructive through mimicking a constitutional referendum using unconstitutional language in the referendum "options", and an equally unconstitutional method to decide the "winning option". There are indeed idiots in this whole Brexit process, and they're by no means all at village level. The designers of the process are probably the most idiotic of all of them, and the exploiters of the process come a close second by all observations. Those who naively believe they have made a democratic decision, wade in in third. Paxman made a crudely correct observation - but did not address the actual root of the dilemma that Brexit represents. The problem was not that the idiot could vote, nor even that each vote was equal, but that the idiot's vote, like everyone else's, was cast in a process that mimicked democracy but contained little or nothing of what suffrage is designed to obtain within society. An idiotic majority could vote tomorrow to declare that Britain recognises the existence of unicorns, and any number of previously elected idiots could volunteer to be their spokespeople during the pre-referendum process. An idiotic government could then claim that this must then be made come about as it was the "will of the electorate", and then even more idiots can exploit this sudden explosion in popularity of idiocy to achieve many more equally idiotic goals they have identified. A superficially accurate parody of democracy it may all be, but it lacks that most essential ingredient of any political system in which power is ultimately invested in the population as a whole - the notion that a common good exists in a qualified but real manner as something which exceeds mere aspiration, the preservation of which is rendered immune to fashion and whim, and especially fashion or whim dictated by a populist refusal to intellectually engage in the process at a fundamental level in which incidental issues of policy and polity are always secondary to the welfare of everyone as defined within a previously established and popular framework. Constitutions are there primarily to safeguard against phenomena - idiocy included - which are corrosive to the democratic process, or at least to mitigate their effects, and the USA is currently an example of just how difficult even this modest ambition can be at times, especially when such a refusal or inability to intellectually engage in the fundamental polity by a critical number of the electorate utilises the very processes designed to safeguard their own prospects and welfare in order to actively - idiotically, even - work against their own interests. In those circumstances a constitution could be criticised as having failed, but in fact it is at these times that a constitution represents probably the only way back from impending disaster. The UK, not having recourse to this salvation from its own incidental stupidity, is therefore a country which could be said to have been designed to enthusiastically accommodate a population's general ignorance of the polity in which it resides, and to actively encourage an idiotic disregard for ever doing much about it. Besides the obvious and cliched advantages of this to whatever minority may incidentally run the country and exploit its resources to their own ends at any given time, it is in every other sense completely idiotic to prolong this danger indefinitely. And now it is obvious, even to a lot of idiots, just why this is the case. Idiocy is not confined to some unfortunate individuals in village communities, alas. Democracy might have had a chance if it were. Of course I agree with that comment, but this discussion of "village idiots" for me goes beyond the legal niceties of representation and written constitutions and Brexistentialist angst. It is really all about the worth of each individual - dare I say it - soul in any society. "Village idiot" certainly was a crude and cruel comment. But perhaps Paxman realised and was ashamed of his crudeness and of his cruelty - he admitted, for example, during the interview with Vine that he very much regretted his treatment of that sick but essentially decent man, Charles Kennedy. When pressed, he also admitted, most strangely of all, that the only people whom he had interviewed for whom he felt any respect were the Dalai Lama and the late Cardinal Archbishop of Westminster, Basil Hume, two men whom, he declared, were at least "searching for answers". So, to be fair, at least the man acknowledges that there are still some important questions besides political ones, and that public and humiliating probing of others' weaknesses is not always necessary for the "public good", even if good for viewing figures. The whole Brexit/idiot fiasco for me was made clear in a heated exchange in our village pub last year. A very angry, middle-class and obviously educated lady was bemoaning the fate of her grandchildren who had been hoping to go to Barcelona thanks to the Erasmus scheme. This would now, thanks to the votes of the idiots, be denied them. A village person retaliated with the comment that she didn't give a **** about this person's grandchildren. Why should she? Did the educated lady give a **** about hers? I looked on in horrified fascination and tried not to laugh when the second (village) grandmother added: "Who's Erasmus anyway - some footballer?" And of course that idiotic remark made us all feel delightfully superior. We're a nasty lot, us humans. But who does care - really care, I mean - about the idiots and their grandchildren? That's the big question, I feel. I wish we could go back to the decencies of "Old Labour" - those politicians and thinkers who were responsible for our Welfare State, men and women who really did seem to care about the common people, idiotic or not. Not a dying breed, I fear, but a dead one. Pinched it, I'm afraid - it was the bon mot of some bright young (female) thing on last Sunday's Andrew Marr Show. I couldn't agree more with your point above, Temp. Which is why of course it is far better to have a society in which a formulated protection against idiocy is a built-in safeguard politically applied, and not one in which individual instances of mass-stupidity have to be negotiated each according to their individual characteristics just in order to get past them. That approach is bound to fail in certain circumstances, such as the one Britain is now in. I had heard it said that Britain functioned best when the ruling polity behaved as if it actually had a constitution by which it abided, in terms of values as well as law. The pretence alone seems to have a sobering effect on both regimes and their constituents, often with strikingly beneficial results. The election of early post-war Labour - or at least some aspects to that particular regime - pretty much fits that bill. If ever the British people actually voiced in no uncertain terms its disenchantment with the legacy of successive "establishment" regimes, even the few that had helped get them out of sticky situations as well as those many which had led them into such difficulties, it was when the population at the first opportunity after the war turned their back on their recent so-called saviours and chose as their government a radical and gloriously principled set of quasi-constitutionalists. It didn't last, of course. But it had ramifications for the country of which many were actually excellent, whereas the modern manifestation of the same disenchantment - this one fuelled by ignorance rather than principle - has no good side that springs to mind. Meles meles' earlier point about the "village idiot" probably being misconstrued as a term these days in that it probably represented an inclusive expression of care, along with acknowledging the appellant's stupidity, is an important one too, I feel. The modern attitude that to be judgemental is "bad" is all well and good, but when it leads to a failure to arrest the idiot's inclination to self-harm or harm others or, even worse, leads to a society in which the idiot feels a sense of entitlement in that regard which allows them to consider themselves the equal of their intellectual peers when it comes to decision-making in terms of national policy and direction, then the flaw in such rationale as a basis of a social system is rather all too evident. Erasmus played outside-right for Boca Juniors back in the day. I remember him from the football cards I collected as a kid. Your football comments are always erudite, intellectually stimulating and to the point, nordmann, However, I rather think the Brexiteer lady in our village pub last year was thinking of Kermit Romeo Erasmus (born 8 July 1990), the South African professional footballer who currently plays for Ligue 1 club Rennes and the South African national football team. To be named after a frog is rather unusual, but I suppose Kermit Romeo Erasmus is better than being baptised after every player in the 1965 Liverpool FA Cup-winning team – including the manager and two assistants. Pity the poor teachers who had to take the register for Paula St John Lawrence Lawler Byrne Strong Yeats Stevenson Callaghan Hunt Milne Smith Thompson Shankly Bennett Paisley O’Sullivan. Or the little girl who was called Arsenal spelled backwards. 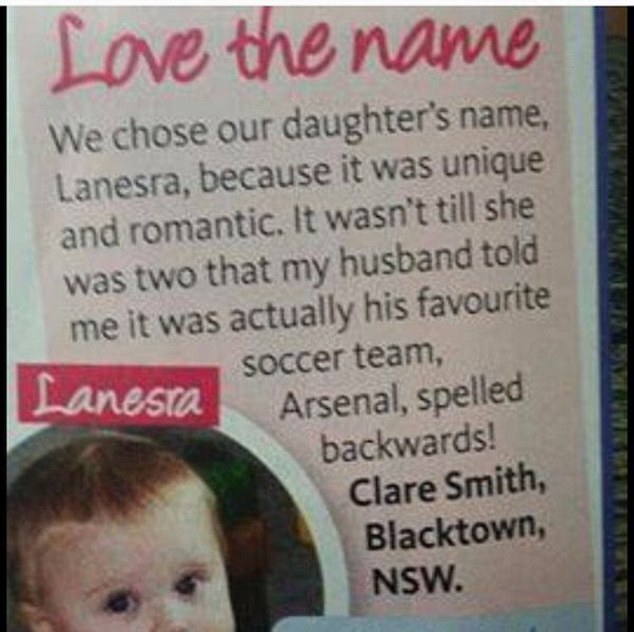 I suppose it could have been worse - Lanesra is quite a pretty name. Nordmann said "An idiotic majority could vote tomorrow to declare that Britain recognises the existence of unicorns". What are you saying there ain't no unicorns, nordmann, I'm crying into my cuppa tea as I type. I bet you are like the fellow pupil at school who tells a person that her (or his but in my case I was at an all girls' school) celebrity crush is gay! Being serious a moment, as I said on another thread some while ago, the ballot box may be flawed but it's the best we've got. My main concern is that loads of people can't be bothered to vote because they are convinced it won't make a difference. If a system of "guardians" were installed what guarantee have we that such a system would be any better. A high IQ doesn't necessarily equate with common sense (and no I'm not saying that it perforce excludes common sense either). As human beings we are flawed and though I would LOVE a perfect system of government I don't think one is realistically achievable. "the ballot box may be flawed but it's the best we've got. My main concern is that loads of people can't be bothered to vote because they are convinced it won't make a difference. If a system of "guardians" were installed what guarantee have we that such a system would be any better. A high IQ doesn't necessarily equate with common sense (and no I'm not saying that it perforce excludes common sense either). As human beings we are flawed and though I would LOVE a perfect system of government I don't think one is realistically achievable." LiR, I think you have to be careful to distinguish between the two purposes to which the "ballot box" is generally put, especially in the context of discussing idiocy as it applies to the political process. In terms of administrative representation, voting to elect people who will represent the views of their constituents, the system may indeed have flaws, as indeed may the humans participating in the process, but the outcome is still broadly that which it has been designed to achieve. One could discuss at length the built-in vulnerabilities which a "first past the post" system exposes when compared to proportional representation, etc, but in the main the system produces a semblance of the democratic system which retains some, if not most, of its principal requirements - accountability to the people, ability of the people to affect policy, official avenues of communication between the voter and those representing them right up to the top executive positions, and so on. In Britain these aspects to the democratic process may be creaking at the joints, prone to systemic failure on occasion, and all too easily exploitable by less than honest people to advance very non-democratic agendas, but they work in the main. It is still possible to employ that old cliché "you get the government you deserve" and mean it - flaws and all, the system produces more or less what the majority wishes, and a more democratic system (such as PR) in fact may not change this much. In other words, in democratic terms there is a degree of fault-tolerance and self-correction which keeps the system functioning at sufficiently democratic a level to lay claim to the term. Referendums however are very different. This is the use of the ballot box in effect to short-cut the established avenues of communication when formulating policy and law and give the population a rapid, direct and irreversible input into the formulation of a national policy which, by definition, transcends party politics and even the law of the land itself. This is where idiocy changes from a potentially irritating flaw in the system whose negative effects can be at least partially mitigated and rendered temporary through the process's own design to a level where it is almost guaranteed to contribute to disaster. The idiocy to which referendums are most vulnerable is not so much that as expressed by the voter, but that employed by those who frame the "question" which the voter is expected to address. As any lawyer will well know there are some questions to which there are no answers which cannot themselves be used to act against the interests of the respondent, whether the respondent is stupid or clever. In addition there are some questions to which the answer actually answers something else entirely and not necessarily the apparent point of the question itself based on the terminology used. And then of course there are simply "stupid questions" which through their own vagueness or lack of apparent purpose end up producing an answer which also will have the semantic integrity of a belch but which, when asked in a plebiscite, will yield untold political ramifications. To safeguard against these potential flaws the political process, as it is designed in more democratic countries than the UK (an embarrassingly high number for a country which likes to present itself as a democratic stalwart), places huge and stringent restrictions on that which will form not only a requirement for a referendum but the actual wording of the referendum question itself. For a start the process will have at its core a "constitution", not a nebulous phrase describing the status quo as in the UK, but an actual document which sets out in explicit terms the aims and the boundaries of national law. A referendum is employed only when such an aim or boundary as previously set into that constitution has been exposed as having been flawed itself, in that its ultimate effect was to work against the best interests of the majority. Sometimes this is to address a change that has occurred in "real politik" over time which has rendered a previously sensible article of the constitution redundant or no longer feasible, and sometimes it is to proactively address an area of law and policy which may in fact have never been properly addressed through an appropriate article in that constitution. I am most familiar with this process as it applies in Ireland, a country where the population lately has been invited to participate in some very important constitutional amendments in order to allow the making of law never envisaged when the document was first drafted. It is a painstakingly tedious process in many instances - not only does the amendment have to not invalidate other articles beside which it will sit, but it also has to be one which is sensible in that it can in fact be understood by the majority. This in itself can lead to a lengthy, tortuous and even politically divisive procedure by which the wording of the question itself is formulated even before the population then can approve or reject it. And even then it can all go wrong - as the infamous "abortion amendment" of the 1980s has shown. Idiocy can still influence events, right up to the referendum point and beyond, even with all the safeguards in place and amazingly exact rules by which the process can even be initiated, and then later conducted. Compare that to what transpired last year in the UK. No constitution to impose rules on the conduct of the process. No intelligent debate concerning the eventual wording, resulting in a choice amounting to two bald statements of intent with no reference to any third (or fourth) option equally valid as an alternative and possibly better suited to a country whose laws do not have a constitutional framework in which they are obliged to fit. No attempt to make the thing sensible to the electorate. No discussion regarding the legal or procedural effect of what the outcome might result in. It was an open invitation for idiocy, or at least woeful ignorance, to play a pivotal role - an invitation which idiocy, by its own definition, will always accept. Post-referendum Britain as exemplified by its political executives and their subsequent behaviour as they attempt to form executive policy based on this idiocy is now itself simply idiotic to behold. A "ballot box" which has always been more suspect to idiotic abuse in democratic terms than in other countries has, almost inevitably, been used to democratically elevate idiocy to so high a level that it transcends what in Britain used to be called its "unwritten constitution", that nebulous concept charged with safeguarding the British people against threat to their general well being - the ultimate idiocy now exposed for what it always was. It has transcended even that small and powerful minority which traditionally benefited most from such constitutional vagueness and who, in a country of dwindling resources which no longer so readily affords even that minority its traditionally unrepresentative, avaricious and largely unimpeded access to and use of the remaining wealth, have been rather hyperactive of late in their extraction of loot from the shambles while the going was still good for them. They may be a despicable aspect to British society but at least they are one which shows some intelligence at work, and however self-interestedly they deployed this intelligence still produced as a result something at times which could be viewed as vaguely "beneficial" in terms of the "common good". However even their traditional influence and activities, the last corrupt little vestige of what used to be effective and pro-active wealth generation in the UK, have now been trumped by outright stupidity (or maybe the stupidity of having allowed them to operate without accountability as they did has been exposed for what it always was too), The so-called "referendum" in fact has eliminated in one fell swoop all such incidental, accidental and even genuine agents of progress, and has succeeded in now effectively placing idiocy above wealth, general welfare, economic prospects, potential, social stability, the "common good" and - as you put it - "common sense" for generations to come. I have heard it said that the Brexit referendum was akin to letting five year olds play with fireworks. This was rightly dismissed as condescending and patronising in that it precluded any intelligence on the part of the voters at all. However, when one extends the concept of idiocy to those who dished out the faulty fireworks to the innocents, then it still makes a valid point, in my view. It seems to me that referendums, ever a blunt and unsatisfactory instrument, are now the 'democratic' equivalent of Like on facebook and twitter and just as subject to instant and unthinking response. In a world where 'How I feel' seems to be replacing 'What I think' and where the ability to isolate oneself from any contradictory or challenging opinion or fact and social media technology is actively designed to promote confirmation bias this has already spread into the previously more considered arena of the electoral ballot box. This is becoming more evident in the waves of support that washed across, not just recent referendums, but other elections, the SNP in 2015, Trump last year, Macron and Corbyn this year, but then dissipate as the emotional high fades and the generally unrealistic expectations are not realised and so the caravan moves on. I honestly worry as to how any kind meaningful democracy will survive. Sorry Temp, your op has been comprehensively derailed and there's an interesting discussion to be had about disability in the past and how it was accommodated and viewed. That is a perfectly British definition of referendum, and I understand that, as a British subject, one you are obliged to consider ahead of its more traditional (and accurate) application elsewhere. Trump, for example (and I agree with your actual point completely regarding the motive behind electing him), was not elected by referendum. He was simply elected. However Trump may, before his natural term expires, be removed by referendum in the form of "election recall". It may sound like splitting hairs to British ears, but in countries with actual constitutions both represent two very different procedures involving public opinion, and in fact the latter will often produce a much more meaningful and usable contribution to the formation and upholding of state or national policy and legislature than the mere election of representatives ever can. This is because referendums address the framework within which all else is legally defined whereas elections simply place executives into office within that framework. "Protest votes" are remarkably absent in referendums - it is hard even to arrange a referendum in which such a thing is feasible. Well, outside Britain, that is. Sorry Temp, I wasn't aware the thread should primarily address disability. Apologies for contributing to a derailment. If Paxman was making a point that idiots shouldn't have a vote then he fails to understand how democracy is designed to accommodate idiocy, or at least individual idiots at all rungs of the democratic ladder. Though in Britain, where idiocy exists in probably more visible and potent form at the legislative level, he could have been simply guilty of identifying the correct target but in the wrong location. For what it's worth, I do believe that the historical accommodation of the "village idiot" within their local communities to a degree which, in humanitarian terms, often places modern attitudes to shame, has a relevance even to all the above regarding Britain, Brexit and Stupidity too. The politics of the village, while never outright democracy, contained a huge amount of consensual input from its participants - one could say almost a state of perpetual referendum. A traditional village could not exist without the recognition of roles, cooperation between its essential players, an attribution of personal worth within the community placed on actual contribution to the common wealth and welfare, and everyone working actively to resist any threat to this social machinery and keep the thing churning along - distinctions based on class or intelligence were almost meaningless compared to those between people with a role and those with none. The "idiot" in that context was as much an essential ingredient in the overall system as anyone else, and while the language used to describe them falls way short of modern sensibilities the system, with all its safeguards and built-in self-corrective elements, was no weaker for accommodating them and indeed did so often with a compassion and enthusiasm modern society seems to lack. I am struggling to think of an instance where that system and its safeguards broke down to the extent that village idiots then managed to end up running the show. But I honestly can't find a parallel to Brexit from back when things were sensible, at least sensible to those within a community who needed to make sense of them. I am surely the last person who has the right to complain about a thread's derailment. In any case no such Great Western catastrophe has occurred, despite the wrong sort of leaves being blown onto the tracks. Paxman's idiot comment was, of course, all about Brexit, and I am perfectly happy that you all discuss that unhappy subject if that is what interests posters here. A thread once posted after all no longer "belongs" to its author, and the best threads usually do, like Topsy, just "grow". That said, the role of the "idiot" in village life is also a relevant topic, as indeed is the rather more tricky one of who are the wise men and who are the fools in any society. Dostoevsky actually called one of his novels The Idiot (see Wiki quote below); and Lear's Fool is one of the wisest and most insightful characters our Willie ever created. The title is an ironic reference to the central character of the novel, Prince (Knyaz) Lev Nikolaevich Myshkin, a young man whose goodness and open-hearted simplicity lead many of the more worldly characters he encounters to mistakenly assume that he lacks intelligence and insight. In the character of Prince Myshkin, Dostoevsky set himself the task of depicting "the positively good and beautiful man". The novel examines the consequences of placing such a unique individual at the centre of the conflicts, desires, passions and egoism of worldly society, both for the man himself and for those with whom he becomes involved. The result, according to philosopher A.C. Grayling, is "one of the most excoriating, compelling and remarkable books ever written; and without question one of the greatest." Discuss - or not - as you see fit. Or continue to examine our Brexit misery if you wish - anything to keep people posting. "What touches all should be approved by all..." That idea goes back a long way for us in this small island. But did it actually ever mean very much, or was it just a clever Plantagenet soundbite? And does it - can it - mean anything at all now? The tyrannical man is the son of the democratic man - I think that's what Plato said was inevitable. Was he right? Answers on a spoiled ballot paper please. "Mind you, intelligence does not always equate with common sense (though of course I'm sure that all of us who post here have oodles of intelligence AND common sense.)" But did it actually ever mean very much, or was it just a clever Plantagenet soundbite? And does it - can it - mean anything at all now? Of course it means something, and something very worthwhile in terms of translating social consensus into meaningful political policy and process. But in a political system which is not equipped to effect such translation, involving an electorate not provided therefore with either method or means to exercise any meaningful remedial solution to this flaw from their disadvantaged status and position, then no - it means little at all. What Britain needs is a government brave enough to invest power in the people through substantial and permanent political reform in which the machinery to facilitate proper citizen contribution to policy processes is established. I would in fact recommend becoming a republic in the modern sense of the term. The previously tolerated system of rule by an elite in which "muddling through" was actually often more effective than when that elite themselves tried to unilaterally effect policy has proven itself redundant. If you sincerely want to translate old Plantagenet platitudes into modern effective social architecture, and not just moan about such noble sentiment being still merely a platitude in your country, then your first duty as a citizen of that country is to actively seek to bring that machinery into existence. Britain in fact does not need constitutional reform, it actually needs to establish a system of properly accountable constitutional democracy for the first time. The lie (willingly believed by too many British people as often as it was repeated by that elite) that "our unwritten constitution" was "good enough for us" has been exposed for what it always was. Who knows, maybe with such a sensible and proven political reform in place Europe may even take you all back (makes mental note to self not to hold breath). that's an interesting survey and I understand what you wanted to say. In a comment from a Dutch speaking one (I guess a Belgian one) I found: "jokingly says the jester the truth"
But in my opinion and I remember that from my childhood in both East and West-Flemish (Flemish from the former county of Flanders) and it can perhaps be interpretated in the former sense in the Brabant dialect (from the former duchy of Brabant), but here it seems to mean literally "smiling says the idiot (the fool) his truth. And in that I would more see the interpretation of the Latin "in vino veritas". If one now is tipsy or if one has a disturbed mind it can end in making an "original" point of view, where the sober people with the common sense say: indeed that's it, how that we haven't thought at it ourselves. "I wonder also whether many village idiots were actually disabled, whether physically or mentally, or had what we might now recognise as, say, autism or Tourette’s syndrome, and so having the accepted role of village idiot was a way of accommodating, or even caring for them, within village society?" Or just disabled and not fool? And yes from what I read about the Middle ages, people believed them as they saw them as saying another kind of God's word...they certainly had a social role. He is more intelligent than one would think on the first sight. Britain in fact does not need constitutional reform, it actually needs to establish a system of properly accountable constitutional democracy for the first time. Then, I suppose, we shall all live happily ever after (makes mental note to self not to hold breath). I wasn't moaning, by the way - simply asking questions. It was originally a Roman platitude, wasn't it? The old ones are always the best. "Many a true word is spoken in jest" is probably the closest equivalent in English, Paul. It is as old as the concept of civic consensus, which is very old indeed. Even the Romans weren't sure where they'd inherited it from. I wouldn't be too sure about dismissing the prospect of republican constitutional reform in Britain in the foreseeable future. There's a younger generation pretty pissed off with their elders at the moment who are beginning to make all the right noises. A few things have to happen or be put in place first, but at the moment I wouldn't discount this occurring at all. thank you very much for the explanation about the proverb. Thanks again for all your knowledgeable contributions to this forum. There's a younger generation pretty pissed off with their elders at the moment who are beginning to make all the right noises. Yes, I am aware of that. I do live here, you know. And I spent my working life talking to the younger generation. They always enjoy making right - and wrong - noises. But then, don't we all? Paul - one sure way to end up plunged in cosmic gloom and suicidal despair at one's inability to understand anything is to (try to) read a bit of German philosophy followed by a spot of Dostoevsky. 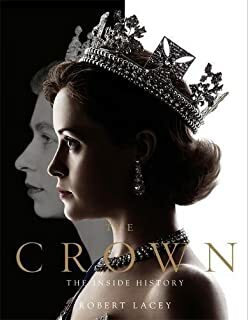 I have turned with relief to my boxed set of The Crown. It's worth watching - most definitely not just Downton Abbey, the royal version. I read "The Idiot" (I had a phase for reading Dostoevsky's works in my late teens, early twenties) and liked it though I must be honest, I don't remember the story very well. nordmann has made some interesting points on the voting system (which need thinking about - not that can just be skimmed through). Would a third choice of Remain but renegotiate terms on the referendum ballot paper have made any difference (and if there had been such an option would the other members of the EU have been open to renegotiation)? In the UK parliament we seem to have a dearth of charismatic speakers at present; I didn't necessarily agree with everything the late Manny Shinwell said but I liked listening to him and the Beast of Bolsover (Dennis Skinner) sometimes makes me laugh - and I'll give him kudos for speaking against cuts to benefits for the genuinely disadvantaged. There's still a lot of people who like having a monarchy in the UK, though. I never really fell in with the cult of Princess Di thing that went on while she was alive (I didn't hate her, she did her jobs of opening this or that building and talking to people and launching this or that ship well enough and from some of the things that have come out since her marriage breakdown and later her death it sounds as if she was miserable a lot of the time; I just didn't worship at the shrine of Princess Di). Anyway, I said something to some work colleagues about not being aware of the charisma that they felt emanated from her and was told I was jealous of her because I was older than her and she was good-looking. Okay, I know Prince Charles' first marriage was over 30 years ago and indeed Princess Diana has been gone for 20 years but I wouldn't put money on there being a republic in the UK any time soon. I guess the fate of the "village idiot" in times past rather depended on which village an idiot happened to be born and perhaps on the said "idiot's" family and friends. If such a person was born somewhere where the population had something of the milk of kindness he/she might be protected and treated gently - if in a more mean-spirited place they might be carted off to somewhere like Bedlam (https://en.wikipedia.org/wiki/Bethlem_Royal_Hospital) I think the original Bedlam was somewhere near where London's Liverpool Street Station now stands. Good point, LiR. The old Parish relief system for the poor and for the sick was very much like our present postcode lottery. Ah, the milk of human kindness - I'm all for that, whatever the system we find ourselves existing under. Without it, no clever ideology or political reform will work. But kindness alone doesn't seem to work terribly well either, does it? We keep searching for an answer. There must be one somewhere. I might have another bash at the Russian novelists - I found them terribly difficult when I was young. But I did like Sean Bean as Vronsky. Am I right that the "unwritten" constitution of the UK can be changed by a simple act of parliament? As I understood it the British parliament had to legislate the decision of the people's referendum, but they needed not a 2/3 as in other countries, but only the simple majority...? Simple majority also to change the "unwritten" majority? Well it all depends on how much credence you lend the term "constitution" in a British context. It actually defies exact definition in a strictly legal sense anyway, but one can think of the "unwritten constitution" as a snapshot of accumulated legislation, precedents and procedures, not all of which are easy to identify as even approaching what might be an "article" in a real constitution. It serves some purpose in defining legislative boundaries but none whatsoever in defining legislative aims. So any new legislation by definition alters the current "constitution" by definition but does not necessarily have to either conform to precedent or establish/refine aims and boundaries - in fact quite often it's the opposite. When it came to EU membership Britain's constitution - as they like to call it - played hardly any role whatsoever. Joining the EU involved legislation without referral to the people at all, a completely unconstitutional tactic for countries which adhere to stricter constitutional protocols and practices. Leaving the EU involved an arbitrary consultation conducted via plebiscite but without any constitutional requirement regarding why and how this should be done, and what should be done as a result of the plebiscite. In fact the British government could, quite legally, simply choose to ignore the Brexit poll result altogether. It wouldn't be a very ethical stance, but it would not be unconstitutional in a country where any current snapshot of legislation is the "constitution" per se, whether that legislation conforms to people's wishes or even earlier legislation that could be deemed a precedent. I agree with your assessment of badly worded referendums. When they relate to an actual constitutional amendment then they tend to be worded rather better (though not always). And if they address deeply divisive issues then a simple "yes/no" can often be the absolutely worst approach to take. In Britain the Brexit referendum represented the worst of all scenarios - the people were presented with a simple "remain a member of the EU / leave the EU" choice with no attempt whatsoever to accommodate or take into account demographic, political and security issues which would be badly served by either option winning, and most definitely the "leave" option winning. A constitutional recognition of each of the UK's own member states right to ensure that no legislation contrary to their wishes or detrimental to their well-being could ever be imposed by a more populous member, for example, would have basically rendered the poll invalid. But as federations of states go the UK is also the only such political entity in the world that has never even managed to write that much down in the past. UK Petitions, if a petition reaches 10,000 signatures, the Government will respond, if 100,000 signatures, there will be a debate in Parliament. None of which will make a blind bit of difference. Thank you very much for your, as usual, erudite and to the point explanation, nordmann. When I lived/worked in London I sometimes used to listen to the LBC radio station. There was a presenter called Nick Ferrari who used to get on my nerves sometimes (I always imagined him as a skinny man but I've seen him on TV since and skinny he is not). I think however he knew how to "work a crowd" except his crowd were in radio-land. Anyway, he particularly had it in for Gordon Brown and he used to go on about people not having voted for Gordon Brown as Prime Minister. I had a friend (well an acquaintance anyway) who used to say much the same thing about people not having voted for Gordon Brown and some of us had to explain to him about the Queen (at least theoretically) appointing the Prime Minister by Royal Prerogative. I know it's not so simple as that; the Queen can't choose any random person to be Prime Minister and it is usually (well I have never known it to be otherwise in my x-z years on the planet) the leader of the "first past the post" party who becomes Prime Minister. But in British elections, unless Joe/Jo Public happens to live in the constituency for which the Prime Minister is the elected MP, he/she (J Public) doesn't actually vote for a Prime Minister. I never voted for any Prime Minister by name (unless I could have been considered to have voted for him by voting for a member of his party in my home constituency). I didn't vote for the party that is in control now in either the 2010 or the more recent election so I couldn't be said to have voted for them. But in 2010 there was much opprobrium for Gordon Brown. I remember hearing some ladies on a tube train going on about "I never voted for him" - I was very tempted to say my piece to the effect that of course the speaker hadn't because he was not her constituency MP but I managed to keep my mouth closed. This was round about the time that aeroplanes were grounded because there had been some difficulty of vision because there was some debris in the atmosphere from a volcanic eruption in Iceland. One of the ladies said about this problem "It's all Gordon Brown's fault". I remember thinking well one can't blame Gordon Brown for the fact that a volcano erupted in Iceland - the lady probably meant that she thought he was being overly cautious by not letting planes fly but it didn't sound like that. We still have not addressed the wisdom of one half of the nation regarding the other half as village - or urban - idiots. Education seems to have failed us - not sure whose though. It saddens me that we and our thousand-year-old system of government - a system that so many British men and women have fought and died to honour and preserve - have become the laughing stock of the world - or, if not a laughing stock, at least a nation whose communal idiocy you all pity. Apparently we just don't have a clue here. Or so it would seem reading some of the comments on this thread. Let us hope we do still "muddle through" somehow. "Let the begrudgers behold!" as Mantel had Wolsey exclaim. We certainly could do with a Thomas Cromwell and his amazing three-card trick now. He started all this Brexit nonsense with his "This realm of England is an empire, and so hath been accepted in the world, governed by one supreme head and King…" - language which "echoes down the centuries", as John Redwood says in his blog. The EU has violated and diminished that imperial sovereignty, confirmed as the King’s by Parliament in 1533 and progressively transferred to Parliament over the ensuing three centuries. What could be corrected by a revolutionary Act in 1533, with some distortion of the past truth about the power of the see of Rome, could today be corrected by an Act of Parliamentary will. The Commons needs to invoke the spirit of English and British independence that was common for three centuries or more prior to 1972. Those who say that the UK can no longer be independent because it has signed binding Treaties do not seem to grasp our long history of independence, or understand how Treaties work. Treaties are solemn and binding for the time that they suit the signatories to them. When they cease to suit one or more of the contracting parties, they are renegotiated or renounced. If the UK wants a different relationship with the EU it merely has to assert some political will. It will either be able to negotiate one more to its liking, or assert one, as Henry VIII did in rejecting appeals to Rome. It would be a less revolutionary act than Henry’s with more history and precedent on its side, thanks no little to the successful change of relationship with Europe achieved by the Reformation. I bet you all love that idea. Here's an opinion piece written by columnist and C of E vicar, Giles Fraser, which tries to understand some of the reasons why the ‘idiots’ voted for brexit. ... with the by-line, "Brexit logic in our deprived towns goes something like this: so what if the country collapses economically? At least then they will know what it feels like to be us." "Remain still don’t get why so many people voted leave. They keep repeating that it is the poor who will lose out the most, appealing to Homo economicus. They keep believing that it was stupidity or gullibility that made poor leavers side with dangerous fools like Boris Johnson. But that is not going to cut it. The people who really hate the way Brexit is going are the people who have got something to lose. When you have nothing to lose, being told you could lose it all doesn’t really count for much. Which is why the more Nick Clegg and his Waitrose friends speak of the coming apocalypse, the more some will feel: fine, bring it on. This logic has understandably panicked the progressive middle classes. But the language of the cliff edge offers little fear to those well practised at falling off it. And until we find a radical way to rebalance our economy, such that all share in its benefits, the middle classes will find that democracy will sometimes hand power to those who are perfectly prepared to play chicken with economic failure." He seems to be trying to excuse the apparent foolishness of the brexit vote by saying leavers were not ignorant, rather they knew exactly what they wanted, and that was to make society as a whole suffer ... and moreover he seems to sympathise and even perhaps condone that view. But even allowing for universal suffrage in which everyone gets a vote and that that of a binman or shelf-stacker counts as equal to that of a lawyer or surgeon, surely society cannot just treat this nihilistic, anarchic, 'lets drag everyone down to our level' attitude, as a creditable political viewpoint to be given any serious consideration. That is why sovereignty is vested in Parliament, and although even politicians themselves continue to disparage 'experts', one cannot just leave the good of the whole country to the democracy of the mob. And while I understand the sentiments expressed in the article, however bad the situation and prospects for the citizens of Blackenhall Heath currently are, their lives could still get a whole lot worse. But the brexit debate has become very polarised and is now very much like opposing religious cults, relying entirely on belief rather than logic. In an attempt to heal a growing rift in the Tory party the ill-thought out and badly executed, 'advisory' referendum has split the country, and there is no sign of the rift being healed any time soon. Despite the ground having shifted drastically since the referendum, recent opinion polls show that both sides have become more entrenched in their views, with only very small percentages, on either side, saying they would now vote differently. And interestingly both sides tend to cite as their reason for confirming their original decision, the same information and detail that has emerged since the vote, such as sterling’s real fall, the UK’s financial commitments to the EU, UK government chaos and its attempts to steam-roller law changes through parliament, no easy trade deals, the question of the Irish border etc. If you ever visit the on-line comment sections of national newspapers you will see that they have largely just become echo chambers for the viewpoint of the respective newspapers' editorial teams. The Guardian’s readers just repeat to each other how stupid and damaging brexit is … while those of the Telegraph chime the exact opposite. And if you visit the Daily Mail you will see real stupidity and ignorance repeatedly displayed. The DM itself cleverly miss-reports, omits factual information, and uses emotive language to support its pro-brexit, anti-EU agenda (EU plans are described as EU plots etc) … while the attached comments all to often repeat ‘facts’ that have clearly and repeatedly been shown to be untrue, sometimes even in the article they are commenting on. To repeatedly spout untruths in the face of solid evidence to the contrary, is either wilful ignorance, malicious lying … or yes, idiocy. Yes, the print media are not blameless but I believe that far more guilt lies at the door of the social media and especially facebook. We who have not immersed ourselves in these platforms just don't grasp influential they are and how utterly amoral. Here's an extract from an article, a review of 3 books, that addresses this point, the whole thing is worth reading, it was sent to me by a friend (the IT professional I have mentioned before who won't touch them). Thank you very much Meles meles and Ferval for all the information. I read it all to the last letter. Kind regards to both from your friend, Paul. Meles Meles said, "If you ever visit the on-line comment sections of national newspapers you will see that they have largely just become echo chambers for the viewpoint of the respective newspapers' editorial teams. The Guardian’s readers just repeat to each other how stupid and damaging brexit is … while those of the Telegraph chime the exact opposite. And if you visit the Daily Mail you will see real stupidity and ignorance repeatedly displayed. The DM itself cleverly miss-reports, omits factual information, and uses emotive language to support its pro-brexit, anti-EU agenda (EU plans are described as EU plots etc) … while the attached comments all to often repeat ‘facts’ that have clearly and repeatedly been shown to be untrue, sometimes even in the article they are commenting on. To repeatedly spout untruths in the face of solid evidence to the contrary, is either wilful ignorance, malicious lying … or yes, idiocy." I wonder if the papers in question delete comments that have a contrary point of view. I seem to be becoming increasingly sceptical as times go on.